Advanced formulation delivering 150mg caffeine . Helps maintain focus and concentration. Features 2g citrulline malate, with vitamins B6, B9 and B12. Magnesium to maintain muscle and nerve function. Perfect for use before or during exercise. Developed by working closely with top-level athletes and teams, the SiS Caffeine Shot meets the needs of cyclists, runners, triathletes and players of team sports, such as football. Formulated by SiS's scientists, the Caffeine Shot's comprehensive formulation uses only the best ingredients. It's ultra-convenient format makes it easy to take before going to the gym, at races, or during half time. The SiS Caffeine Shot is the ideal choice for professional and recreational athletes alike, especially when added focus is needed for training or competition. Like all SiS products, the Caffeine Shot is backed by industry leading quality control processes, so you know it contains exactly what's stated on the label. Most importantly we guarantee every batch of SiS Caffeine Shots is drug screened as part of the Informed Sport program, ensuring they are safe for athletes. Consume 1 shot 30 minutes before exercise for high intensity, short duration events to ensure the body starts with elevated caffeine levels. In longer duration events consume no more than 2 shots per day. Ensure you keep hydrated. This product is not intended for children, under 16's or pregnant women. 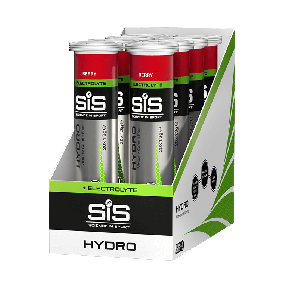 Where hydration is important, SiS GO Caffeine Shot can also be consumed with SiS GO Hydro or GO Electrolyte to ensure a combination of energy, caffeine and fluid delivery during exercise. SiS's advanced Caffeine Shot provides just the right amount of caffeine - enough to improve endurance and alertness, but without giving you the unpleasant, jittery sensation that some products do. The 150mg caffeine is sufficient to improve specific aspects of mental and physical performance while Citrulline Malate is increasingly requested by top-level athletes. Magnesium is included to help maintain normal muscle and nerve function and the addition of vitamins B6, B9 and B12 help reduce tiredness and fatigue. This is exactly what's needed for concentration and focus, which is particularly important when you are pushing to the limit. SiS's advanced Caffeine shot will help you get the most from every training session and perform at your best in competition. It can take 30-60 minutes after consumption for caffeine levels to peak in the blood, so if you are doing a short duration event (less than 60 minutes) you should take it before you start. SiS GO Caffeine shot is ideal to help you prepare for a workout or tough match. If you are doing a much longer event, such as a marathon, 100 mile sportive, or half-ironman triathlon or longer, use SiS GO Caffeine shot in the last two hours when your fatigue level is likely to catch up with you. Every batch of SiS GO Caffeine Shot is tested and approved by the Informed Sport programme. SiS are the first brand in the world to be accredited with Informed Sport’s evolved certification. For more information on Informed Sport & our unique world class approach, click here. Q. 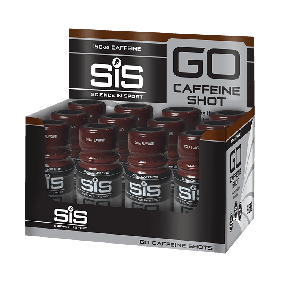 Can I use the SiS GO Caffeine Shot to help my weight training sessions? A. Yes - To get maximum benefits take a shot between 30 minutes before starting your gym session. Scientific research indicates the Caffeine Shot will still be effective when taken between 10 to 60 minutes before you work out. The benefits of the Caffeine Shot will last throughout a gym workout. Q. How quickly does the caffeine shot work ? A. Research shows the caffeine used in SiS products is very fast acting, it will take approximatley 30-60 minutes before it has a desired effect. Q. What kind of benefits can I expect? A. After taking the Caffeine Shot you'll soon feel improved concentration and alertness. You'll be ready to tackle hard sessions and perform at your best, no matter what time of day you're training. Q. Is the Caffeine Shot useful for endurance events like sportives? A. Yes - The SiS GO Caffeine Shot is perfect for endurance events. Taking one shot 30 to 60 minutes before the start will get you focused and the benefits will last for several hours. 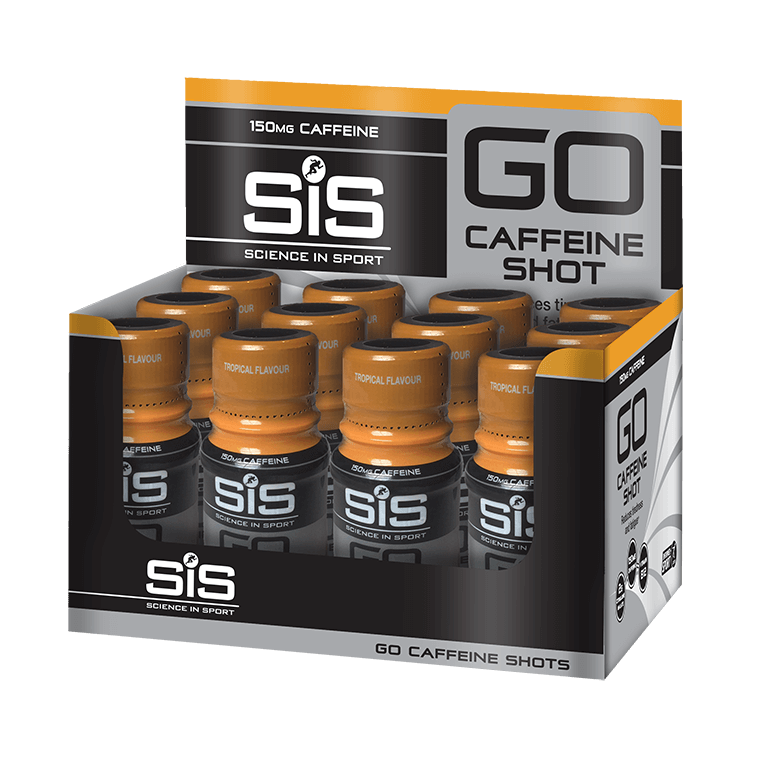 Because sportives can take 5 to 6 hours to complete, the SiS GO Caffeine Shot can also be taken during the race to help get you through the most difficult parts, like big climbs. For endurance events it is also essential to also have an effective fuelling strategy. This means consuming a minimum of 60g of carbohydrate per hour. SiS GO Energy Gels, GO Bars and GO drinks are ideal as they are very easy on the stomach. Q. Can I add the shot to GO Energy or GO Electrolyte drinks? A. Yes - the SiS GO Caffeine Shot can be added to GO Energy or GO Electrolyte drinks so that you get the benefits of both products. Q. How many shots can I take each day? A. The SiS GO Caffeine Shot contains high strength ingredients, so you should take a maximum of 2 Caffeine Shots per day. They are so effective there really is no need to take more! For shorter workouts you only need one shot 30 minutes before exercise, as the effects last for several hours. For endurance events, it can be beneficial to have a second caffeine shot during the event. Q. Why is Magnesium included? A. The SiS GO Caffeine Shot includes Magnesium as this contributes to normal functioning of muscles and nerves, so is essential for attaining top performance. Scientific research shows magnesium is lost in sweat and that many athletes struggle to maintain optimal body magnesium stores during training. Q. Is it legal for drug tested athletes to take caffeine? A. Yes. Caffeine is permitted in all sports and is not on the WADA banned list. Q. When should I use the SiS GO Caffeine shot? A. Take the SiS GO Caffeine shot 30-60 minutes before high intensity exercise or at half time during team sports. Alternatively, take in the last hour before finishing prolonged endurance exercise. Q. What is Citrulline Malate and how can it benefit me? A. Citrulline is an amino acid which delays the onset of fatigue during intense exercise. For example Suzuki and co-workers gave 2.4g of L-citrulline (equivalent to 4.3g of Citrulline Malate) to cyclists and found that during a time trial speed and power were significantly increased. In addition, feelings of muscle fatigue and concentration were improved after exercise. I believe and papers back this up, that taking one of these before a game improves my reaction time. Great flavour, good energy burst when doing sport. Does what it says on the tin.